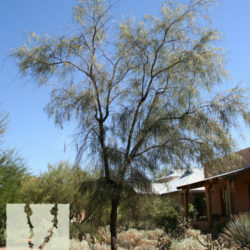 Shoestring Acacia provides southwestern landscapes with a unique and elegant silhouette that is versatile; ideal for framing buildings, fitting into tight spaces, and breaking up large spaces, but also serving well in transition zones and along roadsides or in medians. 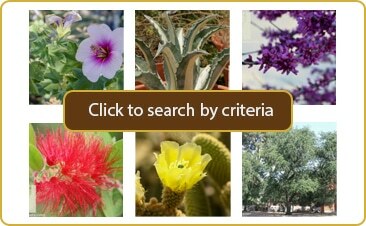 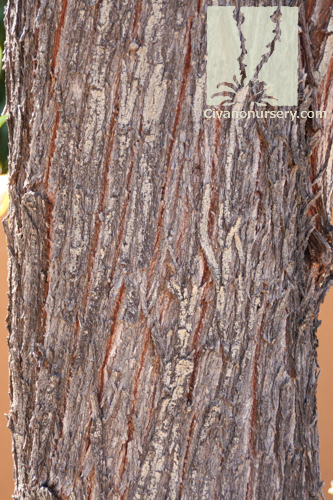 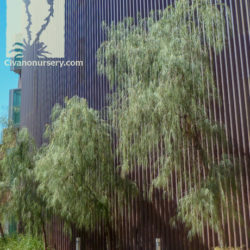 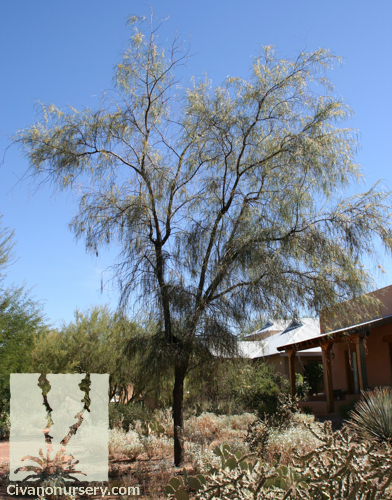 These trees are exceptionally drought tolerant once established, but they’re also known to tolerate heavy clay soils, occasional flooding, and any amount of heat we throw at them. 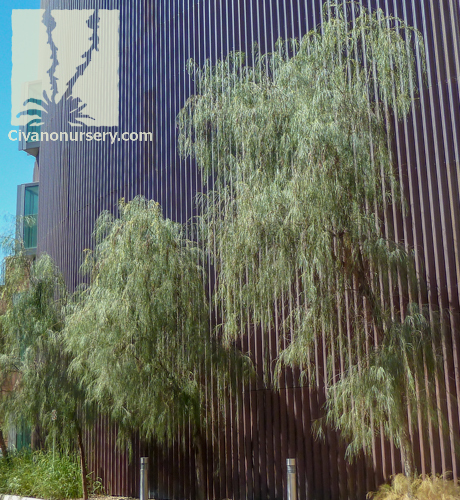 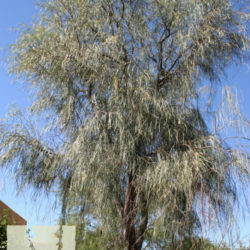 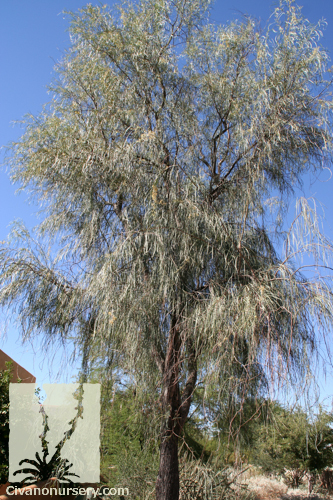 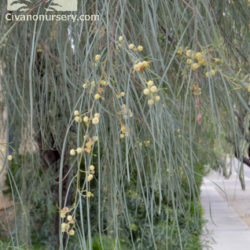 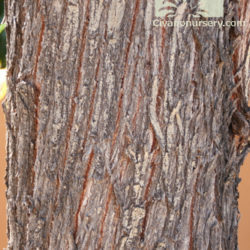 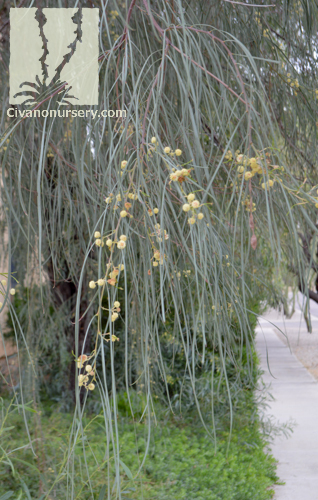 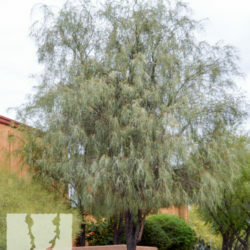 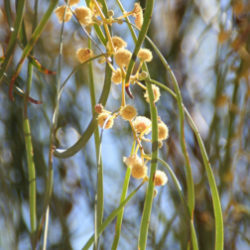 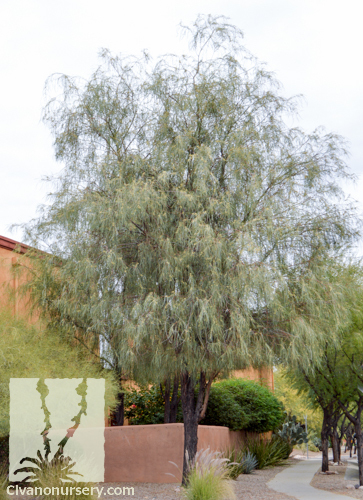 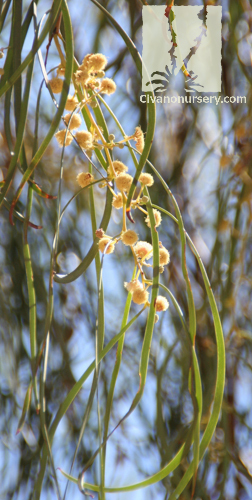 Distinctive, elongated, grey-green leaves hang gracefully from the thornless branches and cling to the tree year-round, making the Shoestring Acacia a relatively clean and popular choice for planting near water features and patios.